Guide them up the garden pathTake note of traditional houses that have a clear garden vista that leads visitors from the street to the door. Paving, structural hedging or plants in pots frame the front door and create a sense of arrival. A thorough budget, set up at the start of your project and monitored throughout, allows you to stick to any financial goals you have set for your project. 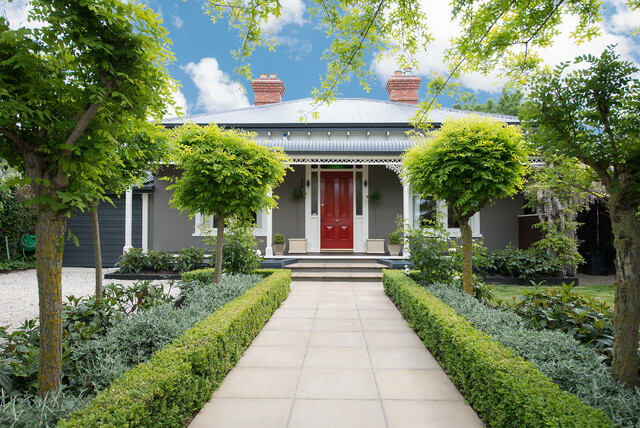 Whether you have a fixed amount of money available, need to work out how much to borrow from a bank, or you are renovating to sell and know that any overspend will eat into your profit – a budget is the tool to give you control of your project and to help you achieve your financial target.As professional renovators, we always renovate with the mindset that we are selling (even if that is not our intention), so our budgets are always set to a fixed limit to ensure we could sell the house for more than the price we paid for it, including all of the revamping costs along the way.